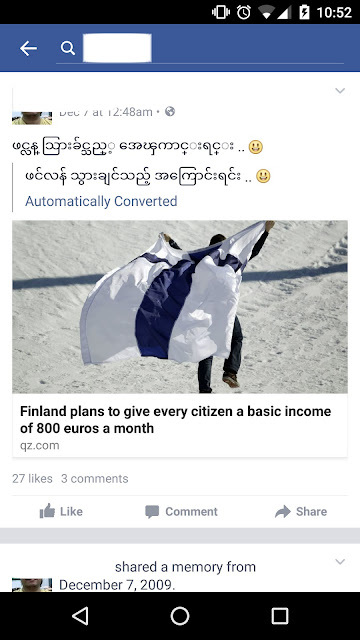 I know many Burmese students don't care for a bachelor degree from Rangoon University in the present day. They are all flocking to study in neighboring Thailand or Singapore polytechnics. But let's rewind back a few decades and look at what Rangoon University alumni from those decades are like today. Here is an economics professor from Columbia University with a BA from Rangoon University. Professor Findlay holds a BA from Rangoon University in Burma (1954). In 1960 he earned a PhD from MIT. At Rangoon University, he was appointed a tutor in economics (1954-57), a lecturer in economics (1960-66), and a research professor of economics (1966-68). And there is another world-famous professor Hla Myint, who is noted for development economics. He taught at Rangoon University and later at the London School of Economics. Professor Hla Myint, Professor of Economics. Professor Hla Myint teaching at the London School of Economics. What a sunny and beautiful day!